In Who Is Knowledgeable Is Strong, Cyrus Schayegh tells two intertwined stories: how, in early twentieth-century Iran, an emerging middle class used modern scientific knowledge as its cultural and economic capital, and how, along with the state, it employed biomedical sciences to tackle presumably modern problems like the increasing stress of everyday life, people's defective willpower, and demographic stagnation. 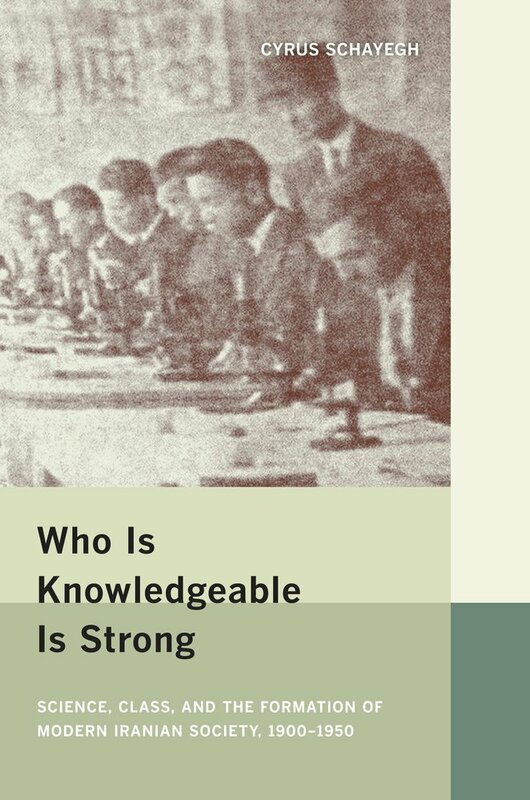 The book examines the ways by which scientific knowledge allowed the Iranian modernists to socially differentiate themselves from society at large and, at the very same time, to intervene in it. In so doing, it argues that both class formation and social reform emerged at the interstices of local Iranian and Western-dominated global contexts and concerns. Cyrus Schayegh is Assistant Professor at Princeton University.